1981 Delorean DMC 12 - As I've mentioned in the past, I have mixed feelings about the Delorean. If the DMC 12 had come from any major car manufacturer, I'd probably be singing its praises. But this was John Z. Delorean and I expected more. 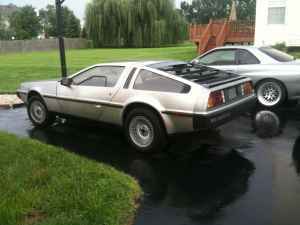 Having said that, this is a very nice Delorean DMC 12. This car has a 5 speed manual transmission, which is very desirable. The Delorean used the PRV V6. That engine,when equipped with US emissions equipment, put out 130 HP. It's fairly lazy when attached to a 3 speed automatic. The manual doesn't make the DMC 12 a rocket, but it gives it performance that is more befitting of its very nice looking / sporty body. Located in "Central NJ", click here to see the Craigslist ad. A big thanks to Dan for sending me the link to this car! 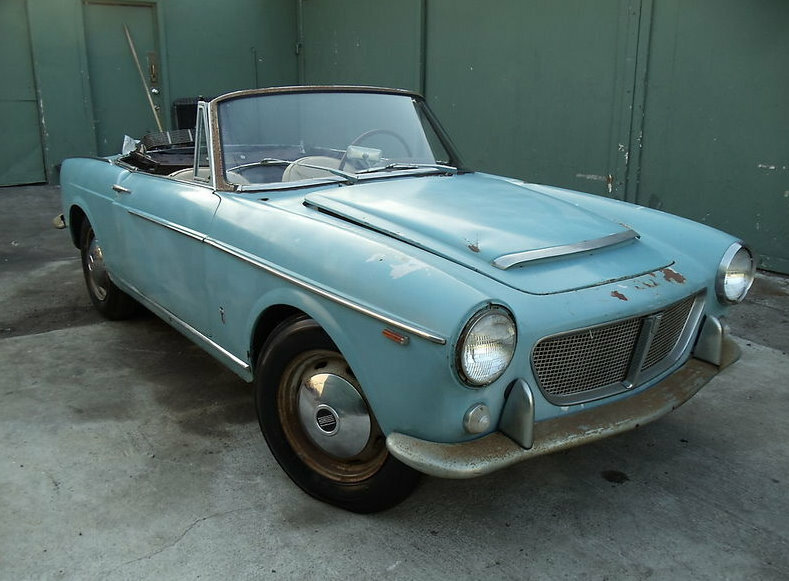 1962 Fiat 1500S - One of the coolest old Fiats you could ever hope to own. I wrote about a 1500S about a year ago and included some brief history. You can find the post here. 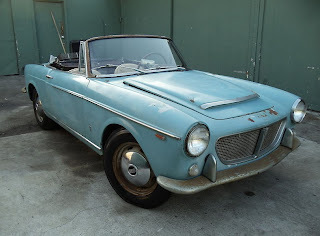 This car needs restoration, but it looks to be a complete, fairly solid car. Located in Gardena, CA, click here to see the eBay listing. A big thanks to Jon for sending me the link to this car. 1992 GMC Typhoon - This is one of the coolest, most insane vehicles to ever come from Detroit. Basically, GMC took their 4.3 engine gave it different pistons, main caps, head gaskets, intake manifolds, exhaust manifolds and the 48mm twin-bore throttle body from the 5.7 GM small-block V8 engine. They then bolted a turbocharger to it and wound up with a 280HP engine. (Rumor has it that it's actually closer to 300HP.) All that power then goes to all 4 wheels (65% rear 35% front). The aerodynamic as an aquarium Typhoon can hit 60MPH in 5.5 seconds. That's about the same time it took the supercars of that era to reach 60. Only 5000 of these were built over 2 model years. This is probably one of the few SUVs that will appreciate in value over the next few years. Located in Plano, TX, click here to see the eBay listing. I got a ride in a Cyclone once. The guy held the brakes, loaded up the turbo (and chassis) And I experienced the hardest launch I have ever experienced. For a briefe moment, my eyes couldn't focus. I have owned a WRX. 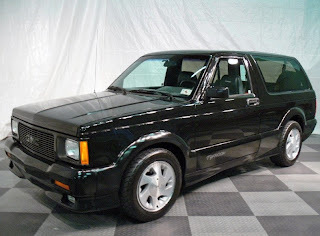 Oh, the Bentley Turbo R. I've also come across listings for it for around that price and while I'm sure it'll break the bank to own one I'm sure it's a fun car to drive. As I've mentioned before, while I don't remember coming across a Typhoon before it was just earlier this year that I was down in South Florida and while I was outdoors at a giant fruit stand (really) I heard a turbo whistle then I saw a Syclone drive by... pretty cool. I'd love to own both a Syclone and a Typhoon, but that won't come until I win the lottery or I marry a billionaire girlfriend; I can always dream, right? Those two vehicles are great as they outperformed comparable Ferrari's and that's pretty insane to me.